There is one cocktail which trumps all others in my opinion, and that is the one and only Pornstar Martini. Believe you me, I’ve put in some solid research over the years and nothing quite compares to a Pornstar’s luscious fruitiness undercut oh so smoothly with creamy notes of vanilla. Now, aside from a few drunken attempts on hen nights, I am admittedly no expert mixologist and really require the art of home cocktail making to be as simple and affordable as possible. 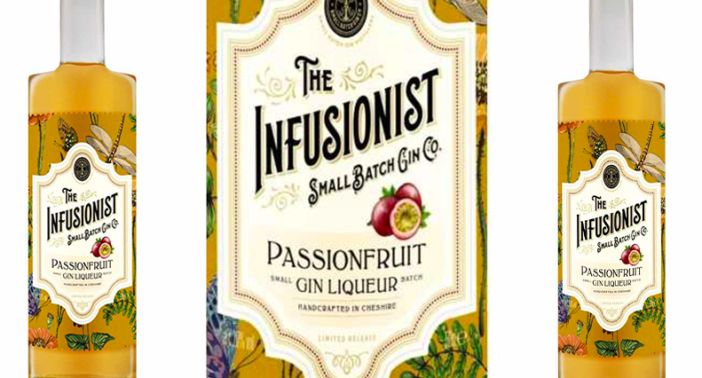 I am therefore delighted with how Aldi is helping to make my summer drinking sessions as fun and stress free as possible with The Infusionist Passionfruit Gin Liqueur. You guys! Oh Aldi Passionfruit Gin Liqueur, let me count the myriad of ways in which I love you. First of all, the bottle is so very pretty and will not look out of place next to the fancy marmalade infused gins you are saving for best. Except with this one, just crack it open and get sloshing. Secondly, it looks like a completely delish bottle of fruity, zesty sunshine and I can’t wait to have a taste. Thirdly, and most importantly, it’s an absolute steal at just £9.99. Seriously, you can easily spend a tenner on a cocktail in a city centre bar, but with this you can shake together numerous drinks in your own home for a very thrifty sum indeed. Chin, chin and chin. Bursting with the on-trend flavour of passionfruit, the Infusionist Passion Fruit Gin Liqueur boasts delicious citrus notes, giving a full flavour and sharpness of acidity. The perfect combination with a classic London Dry Gin or served in a glass of Prosecco or Cava for a fruity tipple. This is one of eight brand new gins being sold at Aldi this summer, however it is perhaps the most exciting IMHO. As the country’s thirst for gin continues to grow, Aldi is launching a host of delicious new products to its range, in its first ever National Summer Gin Festival. Available from 26th July, the festival will see 10 new gins hit Aldi’s shelves, including three unique small batch products, each with a unique heritage. What’s more, the supermarket is also providing everything you need to enjoy the perfect gin at home, with a wide selection of glassware, tonics and garnishes to compliment the extended spirits range. The new gins sit alongside Aldi’s multi-award-winning Oliver Cromwell London Dry Gin (£9.99) and Topaz Blue Premium Gin (£13.99), creating a wealth of choice in time for the long summer nights ahead. To make your Pornstar Martini like a pro, you will of course need a cocktail shaker which you can currently get for £4.99 at Argos. Chuck a handful of crushed or cubed ice into your cocktail shaker. Then halve a fresh passionfruit, scraping all the pulp from one half, while putting the other to one side to use as a summery garnish. Toss the tasty pulp in the shaker. 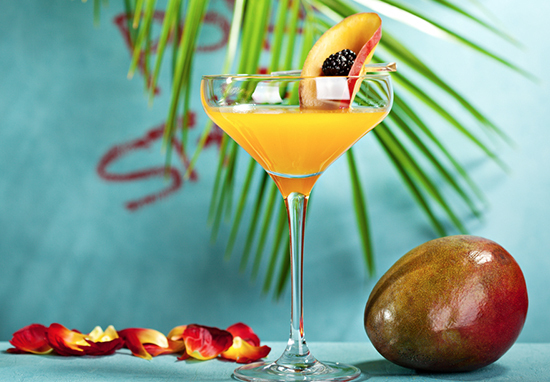 You will need to add 60ml of vanilla vodka alongside 15ml of your passionfruit gin liqueur. Add 1 tbsp of lime juice and 1 tbsp of sugar and shake the cocktail shaker like a polaroid picture. Strain into a martini glass and top with prosecco, and voilà. Aldi do a very nice bottle of bubbly for £7.99, and you can grab martini glasses for just £2 each at Matalan. Bottles of The Infusionist Passionfruit Liqueur (50cl) will appear like magic at your local Aldi store from July 26 onwards.